Persons with disabilities are among the most excluded and marginalized in Nepal. Thousands of individuals with disabilities have no access to any form of government service and are therefore unable to exercise their civic, social, cultural, economic, electoral, and political rights. The International Foundation for Electoral Systems (IFES) Strengthening Political Party, Electoral and Legislative Processes (SPPELP) program in Nepal, supported by the United States Agency for International Development (USAID), has focused on empowering persons with disabilities to engage in advocacy for their own political and electoral rights, partnering with the Election Commission of Nepal (ECN) and six Disabled Persons' Organizations (DPOs) to organize community-level voter education programs and targeted outreach and advocacy in selected areas of the country. 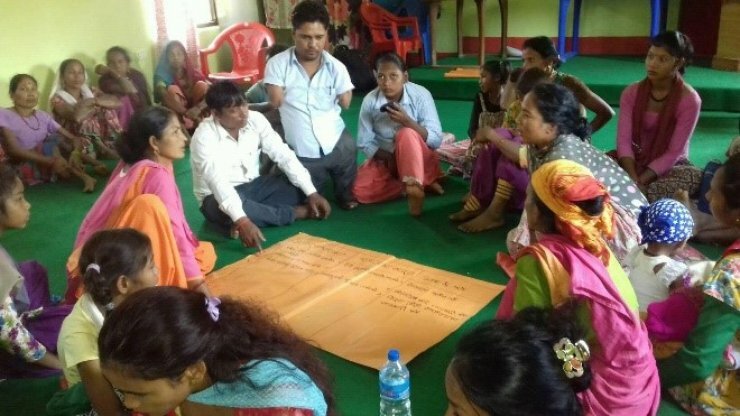 Nanda Raj Bhatta, one of the participants in this program, serves as the District Focal Person for the Community Advocacy Forum (CAF) in Kailali district. During the 2017 local level elections, Mr. Bhatta was invited by the Far-western Regional Election Office in Kailali district of Nepal to help observe and ensure polling center accessibility for persons with disabilities. 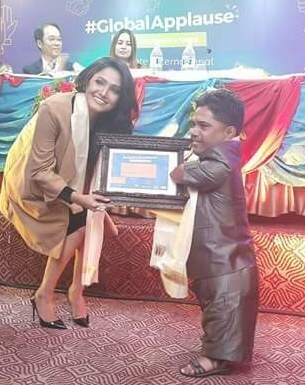 Recognition of Mr. Bhatta’s efforts has also extended beyond the disability community; the United Nations Volunteer program in Nepal awarded Mr. Bhatta the Nepal National Volunteer Award in 2016. Bhatta was appointed a facilitator when the SPPELP project started in 2013 and has led efforts enabling more than 600 persons with disabilities to acquire their citizenship certificates – thereby allowing them to claim the state's disability allowance – and nearly 1,500 persons with disabilities to register to vote. His advocacy has resulted in free education for more than 280 children with disabilities, inclusion of over 1,800 persons with disabilities in various groups and organizations, and enrollment of 1,435 persons with disabilities in a Livelihood Project of the Lutheran World Federation.